Breaking the heart of Taylor Swift fans and all those who dream of an afterlife where Lou Reed persists as a cranky, overprotective ghost, Josh Tillman—a.k.a. 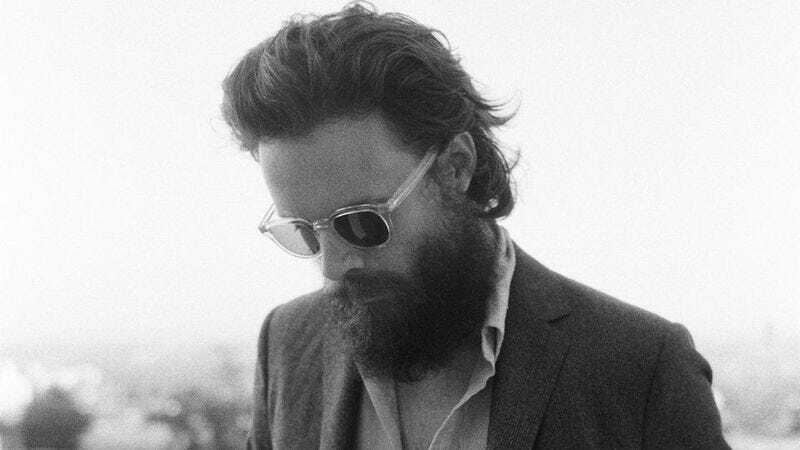 Father John Misty—has admitted that the Velvet Underground star never actually appeared to him in a dream. Tillman made the heartbreaking admission during a radio interview today, where he confessed that his decision to pull his covers of Ryan Adams covering Taylor Swift’s “Blank Space” and “Welcome To New York” stemmed not from Reed’s ghost visiting him like a wild side-walking Jacob Marley, but because he couldn’t stand people enjoying his stupid musical jokes so much. Roughly 26 minutes into the interview with Louisville’s 91.9, Tillman—who refers to people addicted to social media as “spiritually diabetic” and discusses the “postmodern power” of Swift’s camp asking him to put the pulled covers back on the internet—revealed that he pulled the tracks when his tour manager reported that they had exploded onto the internet, for reasons that aren’t entirely clear beyond Tillman finding the situation “ridiculous.” His later statement about the nocturnal Reed visit was written in a fit of anti-media pique, provoked by the next day’s onslaught of requests about why the songs had been taken down. “I was like, ‘These people will print anything,’” said Tillman—whose Facebook post claimed that Reed came to him in a dream and said, “Delete these tracks, don’t summon the dead, I am not your plaything.” ”So I went and gave them the most fraudulent, the most blatantly absurd, unprintable piece of surrealistic nonsense–and they printed it!” Print it, we did, wrapped up as we were in the dream of Lou Ree floating through space like a member of the all-seeing Impression Police. But now, that dream is dead, as is Reed, and as will we all be some day, regardless of whether we just thought Tillman’s songs were kind of clever and fun, or not.